Today’s cow is a repeat, in a couple of ways. 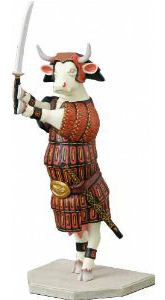 One of my cow sightings appeared in the children’s book Poppleton by Cynthia Rylant. We borrowed this book (and others in the Poppleton series) a few months ago from the library. 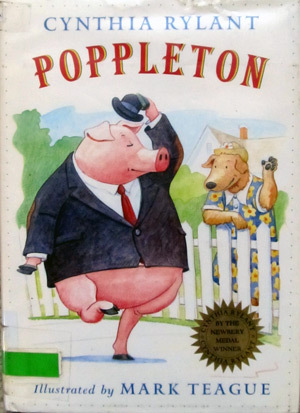 The kids talked about Poppleton last week so I borrowed the book again and today we got to read it and notice the cows from the cow parade. How fun would it really be to watch? Read the latest update on Yvonne the runaway cow here. Next Post It’s another shopping bag with a cow! © 2010-2018 Cow Daily. All rights reserved. 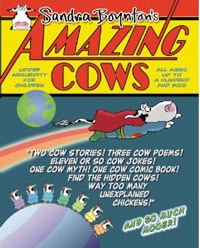 The Cow Daily name and blog content is protected since first use, December 2010. You may link to content on this site but content is protected and may not be reproduced without written permission. Click the Home page to contact me.